It’s finally here! 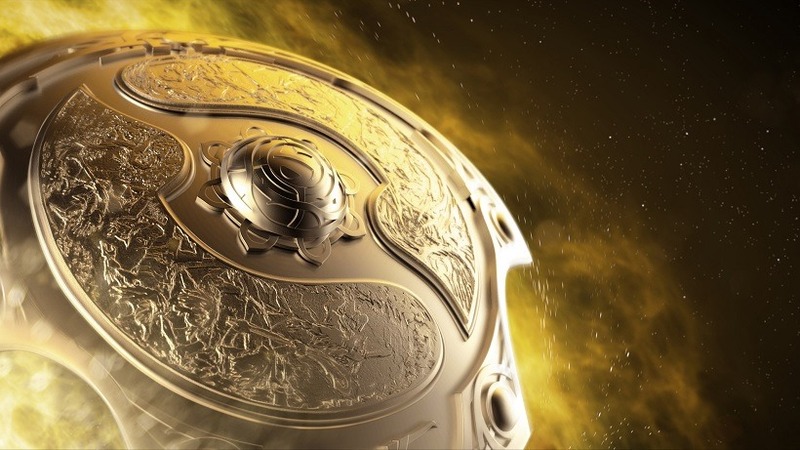 The Dota 2 eSports spectacle that brings the top teams from around the world together, known more simply as ‘The International’, kicks off this weekend. 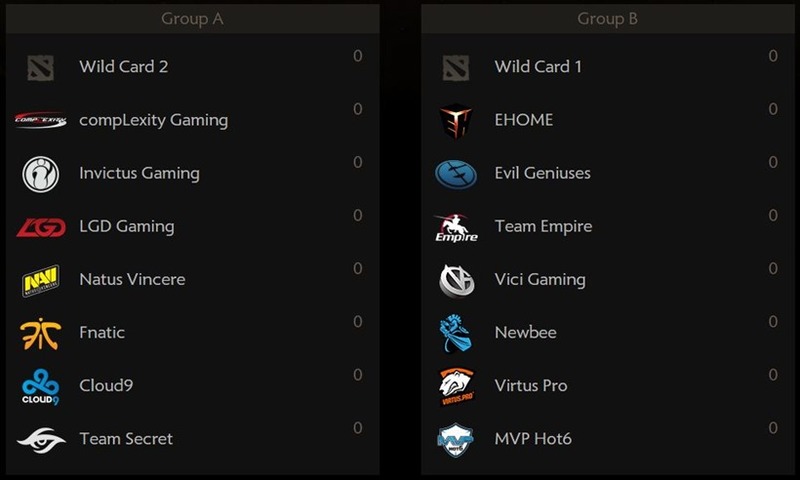 The Wild Card Brackets begin on Sunday, followed by the qualifiers for the main event itself. 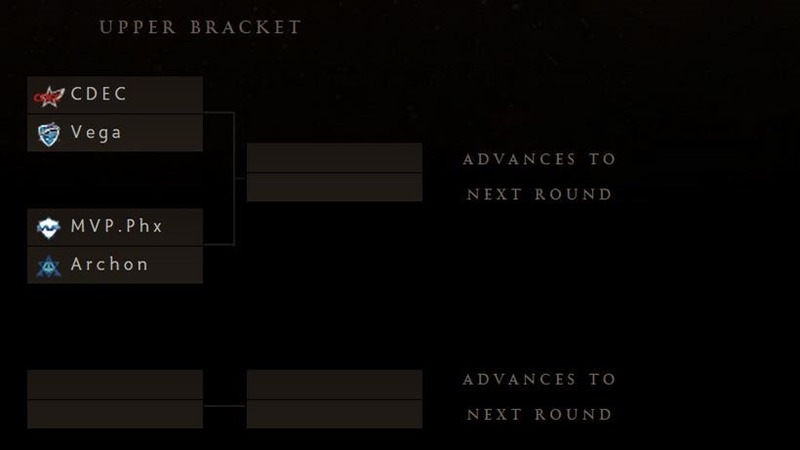 The Wild Card brackets consist of four teams (Team Archon, CDEC Gaming, Vega Squadron, and MVP.Phoenix) who placed second in their respective regional qualifiers that took place a few months back. This Sunday, the 26th, they will be fighting for the last two of the sixteen spots available at The International. These games will determine the seeding for the Main Event. This year, Group Stage will be played over four days, with three games being played simultaneously, each viewable on its own stream. The Primary Stream will provide full coverage of Series A games, and between games we’ll keep you up to date on the overall state of the Group Stage. Streams will start at 9am PDT each day beginning on Monday, July 27th through July 30th. Wow, even the bottom of the pile will receive a decent chunk of money! First prize is grand, but second, third, and even fourth place winnings ain’t too shabby, all sitting in the respectable millions. 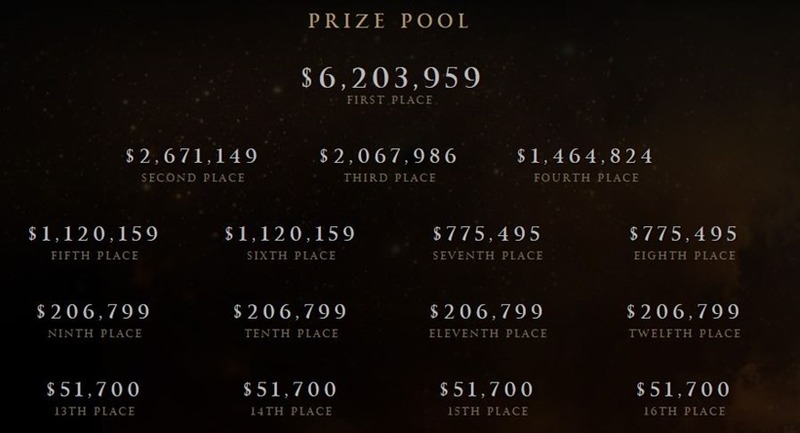 Heck, even fifth and sixth place have 7 digit winnings! I’ve been looking forward to this event all year, and I’m glad it’s finally here! Who are you going to be supporting? Personally, and I know I’m not being a unique snowflake here, I’ll be rooting for Team Secret. Besides them, I still have a soft spot for Na’Vi… I hope they go far this year too, even if they aren’t nearly as great as they used to be.